1).The function of the piston is working under high temperature, high pressure and bad lubrication conditions. 2).The pistons are fully interchangeable with other API standard designed pistons and deliver maximum performance in almost all drilling conditions. 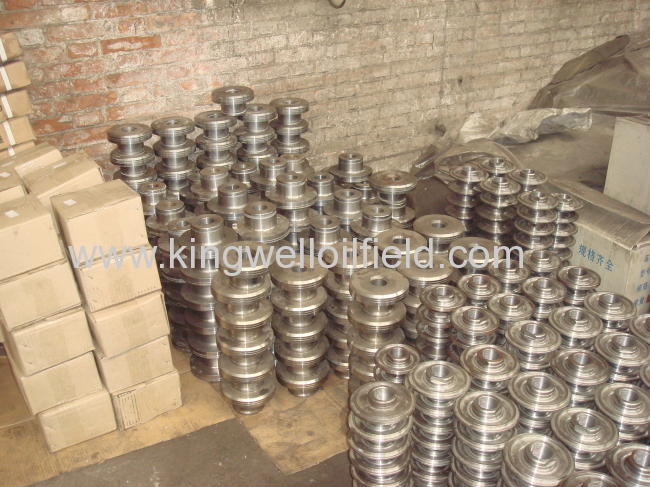 The hub is formed from 45# round steel. 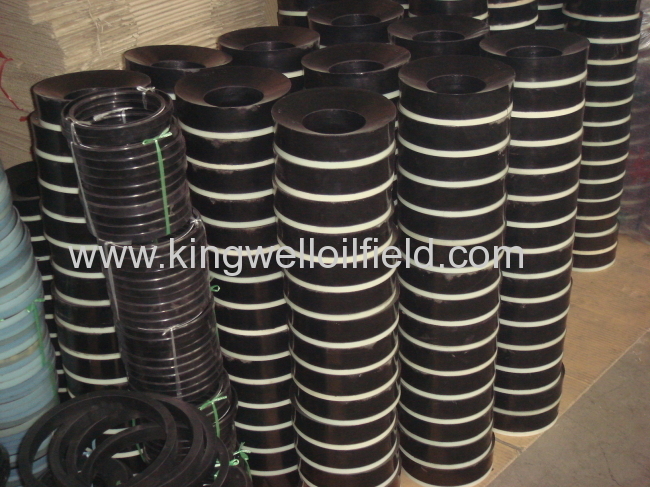 The piston rubber is made from specially formulated compounds which are resistant to the effects of heat, oil and water. 3).The multi-ply fabric reinforced backings used in the production of the pistonrubbers provide positive, wear resistant seals. High tensile strength, resistance to chemicals, hydrocarbic. 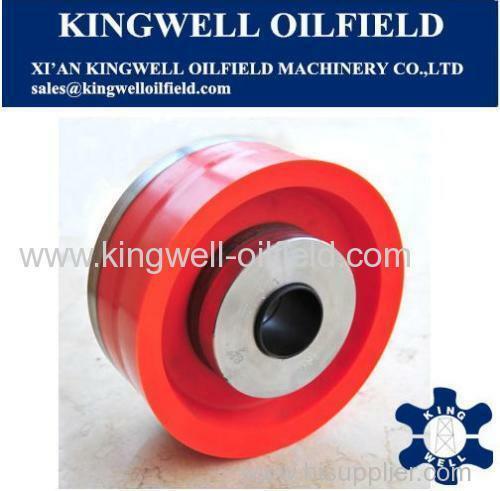 Outer diameter: 4 1/2" -- 7 1/2" Inner diameter: 1 1/2" --1 5/8"
2). 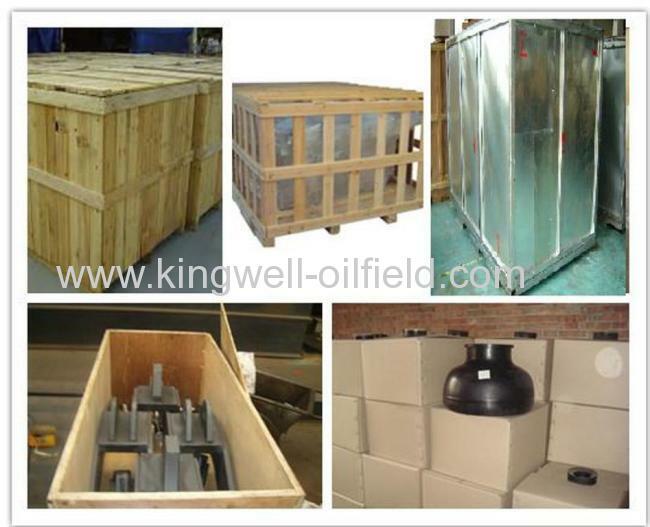 They are available for different models ofpumps, such as EMSCO,Gardner Denver, IDECO,OILWELL,NATIONAL. 3). Piston rubber of piston assemblies aremanufactured by using very high strength polymer with very tough fabric backing. 4). Special care is taken for accuratedimensions of Piston body to ensure very long life . 5). 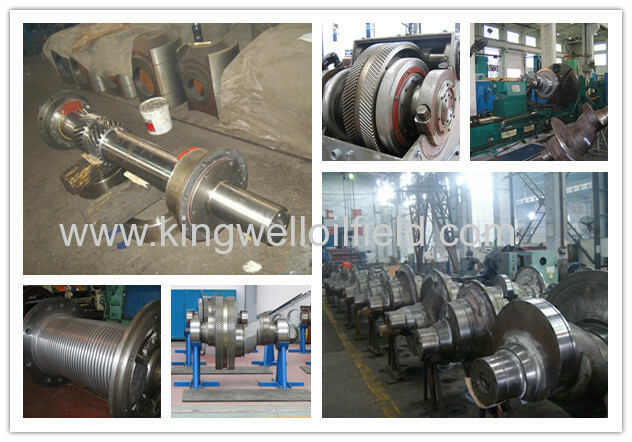 Kingwell's piston assemblies give very longlife even under extreme working conditions. Delivery Date: within 25days after receiving the deposit. Any interest of above products or relative spare parts, PLS feel free contact back, and we will offer a good price and show you our best service upon received from you.